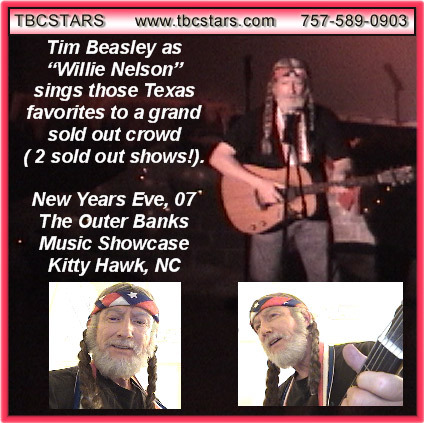 As a dead-on look-alike Willie Nelson impersonator; Tim also brings a great voice to add the soul of this Outlaw troubadour. 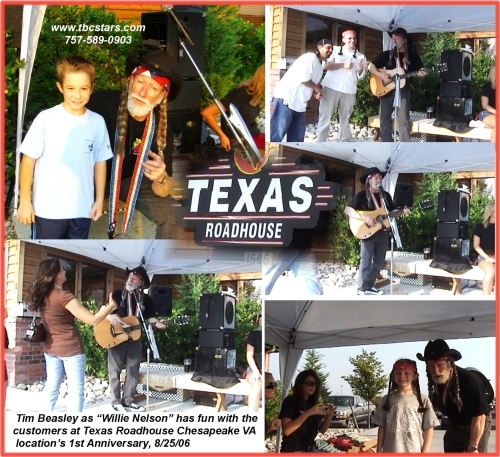 As a special country celebrity guest, Tim’s Willie Nelson impersonation carries a truck-load of charm! For a meet & greet or a full spotlight concert performance, Willie is a perfect choice for adding some Texas hot-sauce to any country & western theme party or special event for corporations, retail promotions, and country music festivals and entertainment spots. Let Tim as Willie Nelson be your Ace-card for your big Wild West event!